Have you ever looked at the night sky and wondered what was out there? The universe is defined as all of space and time, including all matter and energy. But that description barely scratches the surface of the amazing mysteries it holds. 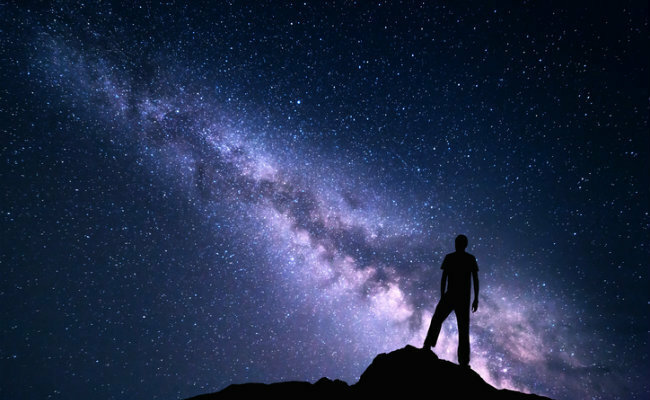 Let’s take a brief tour around our incredible universe and find out what questions really keep scientists and astronomers up at night. 1. How old is the universe? When you’re dealing with an entire universe, where do you start looking to find out it’s age? Scientists use two key methods for this immense task. First, they look at the oldest known objects in existence, which happen to be stars. Measuring a star’s mass and brightness helps researchers determine how old it is. The oldest stars identified so far are between 11 and 18 billion years old. Second, they measure how fast the universe is expanding by looking at the density of matter and how that matter is composed. Using a NASA probe to examine these elements, one research team estimated the universe is around 13.7 billion years old, which is within the range provided by dating the oldest stars. 2. How are galaxies able to create so many new stars? Galaxies appear to consume more matter to create new stars than they actually contain. For example, the Milky Way converts about one sun’s worth of dust and gas into new stars every year. But there isn’t enough spare matter floating around in the galaxy to keep this up for very long. Yet, it continues producing more and more stars. Astronomers have recently noticed that gas expelled by galaxies through supernovas or other explosions will actually flow back into the center. It was previously believed the gravity of a galaxy was not strong enough to pull the gas back in. If galaxies can in fact recycle their gases, it may partially explain their ability to produce seemingly endless new stars. 3. 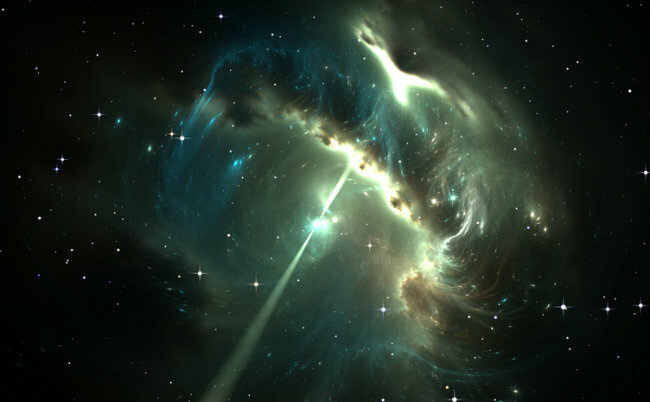 How do pulsars create light beams? Pulsars are relatively small, spherical objects made up of extremely dense material. They’re typically only 12 to 15 miles (20 to 24 kilometers) across, but they can contain up to twice the mass of the sun. 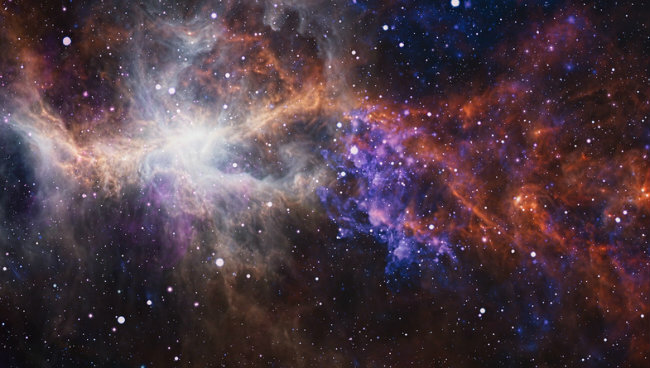 Pulsars can be seen from the Earth and often look like a flickering star. They radiate two steady, narrow beams of light in opposite directions. It looks like pulsars flicker because they also constantly spin. It’s the same as looking at a lighthouse that appears to blink from a distance. What baffles scientists is how pulsars can emit these extremely bright and focused beams of light, which are similar to laser beams. It’s a very different kind of light than sunlight, which radiates in all directions. Albert Einstein was the first person to recognize that empty space is not nothing. He discovered it’s possible for more space to be created from what seems like nothing. And as we know now, the universe is constantly expanding. So, where does all this new space come from? Scientists call this unknown energy source dark energy. There also appears to be a universal substance called dark matter, which neither emits nor absorbs light, but has a clear gravitational effect on galaxies and stars. It’s estimated the universe is made up of about 68 percent dark energy and 27 percent dark matter. Both of these elements cannot be seen or measured by humans. We can only identify a mere 5 percent of what’s out there, such as planets and other visible matter. 5. 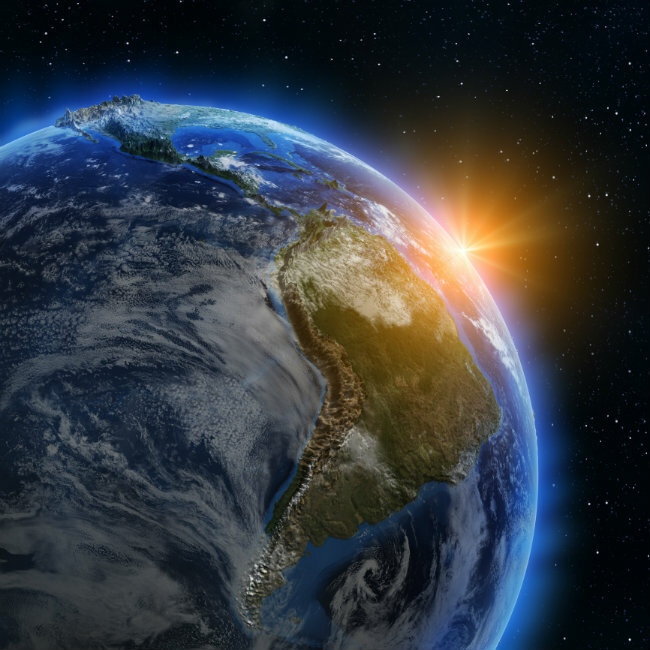 Did life originate on Earth? Compared to our 13-billion-year-old universe, the Earth is fairly young at an estimated 4.5 billion years old. For the majority of that time, life has existed on our planet in one way or another. But where that life came from is still hotly debated by scientists. It may have spontaneously arisen from the primordial elements of our early planet. Another theory suggests it came from a distant world on an asteroid or comet that crashed into Earth. And considering that humans only appeared about 200,000 years ago, we can only keep guessing at how life started before our time. 6. What are Fermi bubbles? In 2010, NASA’s Fermi Gamma-ray Space Telescope discovered a mysterious structure in the middle of the Milky Way. Two massive, gamma-ray-emitting bubbles extend from the center of the galaxy. They’re now known as Fermi bubbles. Scientists suggest they were created by some kind of large, rapid energy release that happened millions of years ago. Gamma rays are produced by the hottest and most energetic objects in the universe, such as neutron stars, pulsars and supernova explosions. They have the most energy of any wave in the electromagnetic spectrum. How or why the Fermi bubbles produce gamma rays is unknown. 7. Where did the water go on Mars? Geological evidence on Mars suggests that it used to be a warm, wet planet similar to Earth. Long rivers flowed across the Martian landscape that emptied into shallow seas. And a thick atmosphere rich in carbon dioxide kept the planet warm. Living microbes may also have lived in the habitable Martian conditions. Today, the surface of Mars is excessively cold and dry. What happened to the planet’s promising beginnings? Scientists believe the most likely reason is that Mars somehow lost its protective atmosphere. Perhaps it was struck by a massive asteroid that disrupted the atmosphere, or erosion from strong, solar winds slowly stripped it away. We may never know what happened to the Martian climate, but it’s fascinating to think that Mars could have been similar to Earth had things turned out differently. 8. Can life exist without water? In the search for alien life, we tend to look for watery planets similar to Earth on the assumption life can only exist in a climate like ours. But, what if this assumption is wrong? Saturn’s giant moon Titan has caught researchers’ attention for this reason. Its surface temperature is around minus 290 degrees Fahrenheit (minus 179 Celsius), where any water would be frozen solid. But the moon has a liquid cycle similar to Earth’s, only the cycle is based on methane and ethane instead of water. Rivers and lakes of methane-ethane evaporate to form clouds, which rain hydrocarbons back down onto the surface to collect again in rivers and lakes. It’s the only known world in our solar system other than Earth with a liquid cycle like this. Now scientists are investigating whether or not this system could sustain life. If the answer is yes, it means that life can develop in conditions completely different than those on Earth. It also means the possibilities for alien life are even more diverse than we previously thought. 9. Are there multiple universes? Theoretical physicists speculate that our universe may not be the only one. In fact, it may be just one of an infinite number of universes that exist next to each other. Each universe could have very different physical properties, or completely different laws of physics. It’s even hypothesized there could be infinite versions of you living in other universes. Some of your alter egos could be doing what you’re doing right now, or they may have made completely different life choices. The possibilities are, after all, infinite. The photo of the pulsar is wonderful! Very good article. I would recommend Robert Lanza, Biocentrism: it's a very interesting book from the scientific point of view (although not particularly well structured, literally speaking). The biologist alas finds absolutely acceptable to test on animals although what he wants to demonstrate contradict the ethics of it. But this is the only inconsistency: it's a big one but unfortunately shared by so many self-appointed gurus. At least this is a serious scientist!